I have a passion for film composing, and enjoy the challenge of bringing out the emotional content of the film through music. Jacqueline Perriam, a native of Victoria BC, is a graduate of the Amsterdam Conservatory in Piano Performance. She has performed as a soloist and a chamber musician in the Netherlands and Canada, and has given live performances for the CBC. Together with saxophonist Erik Abbink she recorded music for the Adaskin Collection as well as a complete CD of saxophone and piano transcriptions. 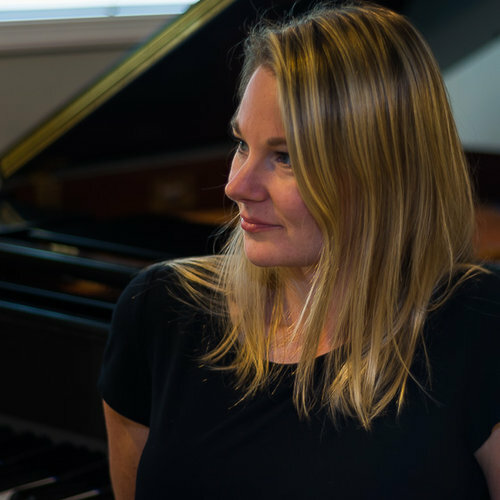 As an Artist in Residence at The Banff Centre for the Arts, she has worked and collaborated with many renowned musicians, composers and recording engineers. Jacqueline has a passion for film composing, and enjoys the challenge of bringing out the emotional content of the film through music.